Nowadays, refractive lens exchange (or lens replacement surgery) has become the most effective treatment method in eye surgery. 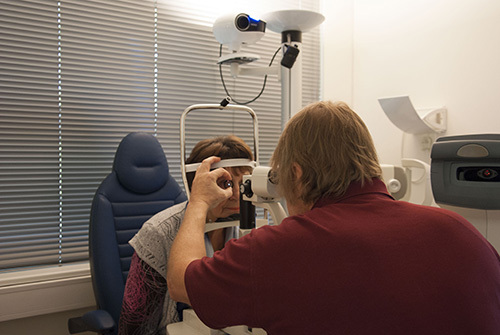 Lens replacement surgery is essentially the same procedure as cataract surgery – the procedure performed by Nõmme Eye Centre’s eye surgeon Dr. Tõnu Kuddu over 20,000 times. The difference form cataract surgery lies in the type of the lens. A multifocal lens will be inserted into the eye allowing the patient to see far and near without glasses. What are the results of refractive lens exchange? The results of lens replacement surgery can be characterized by a high percentage of satisfied patients – 94 %. Of all people who have undergone the surgery, 80–90 % do not need glasses any more in their everyday life. The other 10–20 % usually need corrections for performing only a few specific activities. Approximately 5 % need second surgery in order to achieve desired results. According to surveys, 94 % of patients would go through refractive lens exchange again. To whom is refractive lens exchange recommended? Refractive lens exchange is recommended to people over age 45 who use or need glasses or contact lenses. Lens replacement procedure is suitable in the cases of both long- and short-sightedness. Preliminary consultations and examinations are required. It is advisable to operate on both eyes at the same time. The lenses used are supplied by the world’s top manufacturers individually according to parameters of the patient’s eyes. Midlife with glasses is not an inevitability! Make an appointment today!